Edit - fixed bold for current ownerships. I wish I still had one, two of those cheesy japanese Paula copies, haha ..the Hondos sounded great..with those thin laminated tops and chambers underneath..
almost like thinlines..and fake humbuckers, a singlecoil under the humbucker cover..great..
How'd I miss this thread? 80's or 90's Yamaha*, red metallic, looks like the old SG-7 but with more Strat like pups and a pointier headstock, a friend gave it to me to fix and then moved away, I never fixed it. *means I still have them. Always wanted a telecaster or gretsch hollow ! Youve all owned a loooots of guitars ! Pretty interesting to see how everyone has owned a ton of different guitars. Not much in common except almost all of us have owned a short scale at one point. Oh how things change in seven years...my taste in guitars shifted dramatically. In chronological order, the ones I've still got are bold. My keep-rate for recent guitars hasn't been that good. This is everything except for a couple of guitar I had when I was a kid. 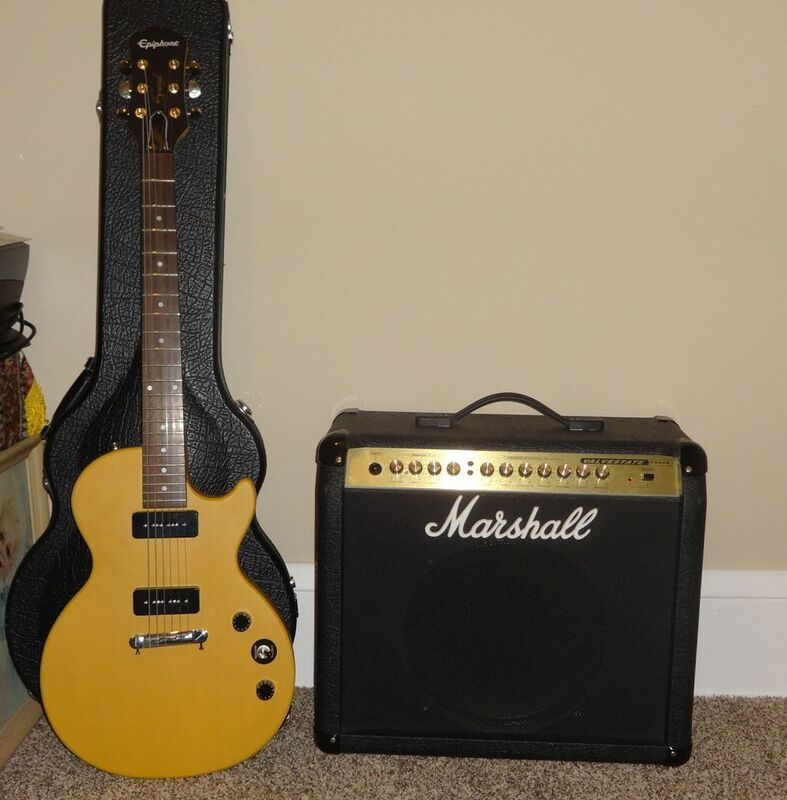 2006 Gibson Les Paul Junior B.J.A. 2004 Gibson Les Paul Standard "Iced Tea"
2004 Les Paul Studio Limited Color from "Don't Stop The Rock"
No-name Flame Maple SG3 with "Bigsby"
1962 Supro Model 1540 Bermuda(Resoglass version). 1977 Ibanez 2342IV Deluxe 59er "Sunlight Special"
can i haz pics ? WESTIE WHOA WTF YOU LEGEND. I've had many many other project guitars that I've played live. I can't remember them all now. SGs and Strats and Teles mainly. Don't think I'm missing anything, the 67' dano, 12 string dano, banjo and the hagstrom bass are all my gf's. WTR, that's a pretty impressive list, I thought I had owned a lot at 130 guitars, but yours is, what, 220? Which ones have you still got? I take some when I get home. Now I just have this. 2004 Crate Electra "Fat Strat"
HONORABLE MENTIONS - instruments I used for awhile or were in my collection but not mine because I was repairing/rebuilding them for somebody or they wanted to borrow something I had in exchange for and the period lasted a month or more. Most of these got a "guest" appearance on demos and recordings and whatnot (field testing - that's why my fixes work so well) so I got to know them really well. This is like a resume of my work. All of them. Every single damned one. 1980s MIK Squier Bullet Star 1, the telecasterish looking one.